Editor’s note 8/25/16: Applications are no longer being accepted for the customer support advocate position but don’t fret! There’s lots of other stellar work-from-home jobs are available on our site! Be sure to subscribe so you can find out about more remote jobs as soon we post them. The boisterous cheers — sometimes becoming aggressive bellows. The unwashed lucky jersey. The edge-of-your-seat, nail-biter playbacks. The sweaty men in tight pants. The buffalo chicken dip. But no matter your team, you can go ahead and cheer for these football-centric job opportunities and turn your fanaticism into extra money. If you score one of these gigs, you won’t have to wait until the weekend to get your adrenaline pumping. You can live and breathe America’s favorite pastime (seriously, it’s not baseball, Kelly!) all week long. The crowd probably won’t laugh. The sportswriting site is currently hiring a part-time, work-from-home managing editor who should be just as obsessed with grammar as they are with sports. Depending on experience, you could make about $300 a month — a nice tailgating fund, in my opinion. Apply on Indeed with a short, informal statement (make them laugh, of course). If the joke pans out, you’ll take an editing test. Stop for a moment and try to say Tik-A-Tap five times. This San Francisco-based digital startup is launching in September and compares itself to a Stubhub or Ticketmaster — but for high school sports. And it’s hiring a customer support advocate. The pay is substantial: $40,000 a year. Another perk? You’ll work full time — and remotely. You’ll answer questions and educate users about the new service, as well as foster relationships with school administrators and event attendees. And chat about #sports, of course. The right candidate will have a bachelor’s degree, two years of customer service experience and strong phone and email skills. Experience in high school sports is a plus (think: player, coach, umpire, volunteer waterboy or girl). Apply to the job via Indeed, and bring your competitive edge — 100 people have already applied. The Vox Media blog, based out of New York City and Washington D.C., is hiring a remote, full-time sports writer to cover college football. The description asks that candidates feel comfortable tackling (get it?) live game coverage, Xs and Os (not hugs and kisses), recruiting, data and stats, coaching changes and everything in-between (like school color confusion). Salary depends on experience. There’s also no college degree or structured training requirement. As long as you have experience covering national college football, can crank out a good, clean story and use social media, go ahead and apply. You’ll be expected to work Saturdays and Sundays during the season, but I suspect some of your work will involve keeping up with the scoreboard and flipping between games. The only catch? Your cover letter should only be 140 characters, like a tweet. Check out the job listing for more information and be sure to peruse Vox Media’s other job openings, too. Ugh, you’re one of those. But I understand if you’re from Texas because, well, Friday Night Lights. And you’re not the only one in the big state of Texas. TexasHSFootball.com claims to be the fastest growing media company in Texas, with 2 million unique visitors. And it’s not just about high school — it covers Texas’ college and NFL teams, too. The website is hiring a work-from-home writer to contribute at least two clean articles a week. You’ll research and develop news articles and coordinate photos, receive press releases and snag interviews. You’ll be trained for it all, too. If you live in Texas and can start as soon as a QB says “hut, hut, hike,” then apply via Linkedin. Pssst… The site’s also hiring social media, photography, marketing and videography interns, but those the positions are paid in experience. 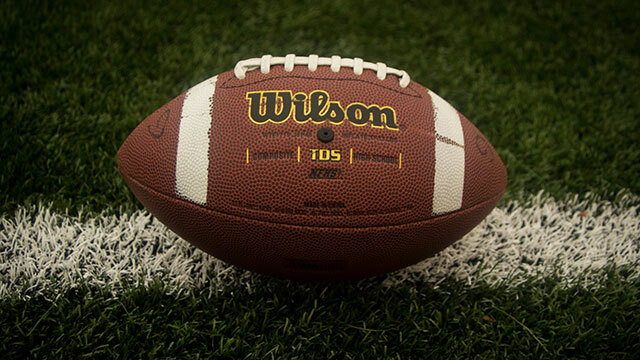 Your Turn: Who are you rooting for this football season? Carson Kohler (@CarsonKohler) is a junior writer at The Penny Hoarder and a Clemson alumna. After recently completing graduate school, she focuses on saving money — and surviving the move back in with her parents.